Sunday funday: While the Saturday has (more) serious games, the Sunday is more of a party/fun day where teams get to watch the final and have a good time. We’ll have half-time games, the famous tally-whacker, slip ‘n slide, and band on the field. What else? Ben (&Céline) proposed a water pistol fight. Everyone present was against getting a dedicated DJ this year as long as we have volunteers for the central tent & Dan the musicman does source enough songs. This way we are not in the way of the Perak hat (easter weekend) nor Bangkok Hat (prolly mid February). Payment: it was suggested that we set up a paypal account and give people a slight financial incentive to pay in advance through paypal (instead of cash at the reg party). A new deal needs to be negotiated with Cambodia beer. Flo is going to do this. We spoke of shirt sponsors. We would prefer not to as BPPPH are popular (because of lack of sponsors), unless we can get a very lucrative deal. Registration party: could be held at Ian’ s hotel (whoop!) if we manage to fill the entire hotel with frisbee players. That’s 21 double rooms and 2 family rooms (hold 3). Could be doable. Saturday party: possible location is Eighty eight. We will need to find a new band. One condition is that whatever band we get does Saturday & a half-time show during the finals on Sunday; that was fun last year. 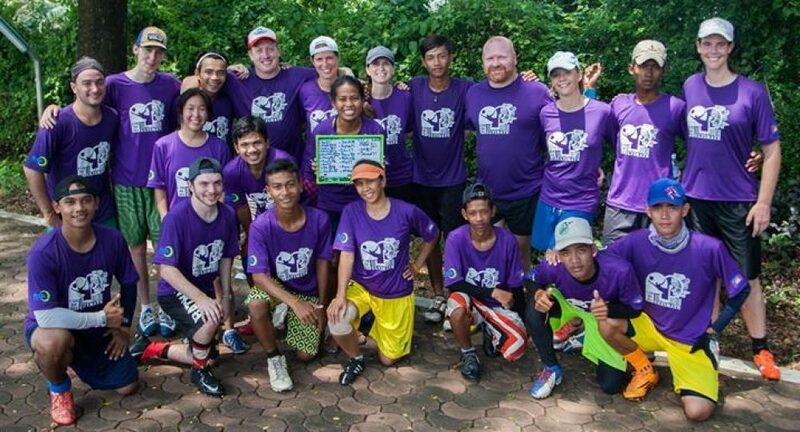 Shirts/discs: if we want shirts from Philippines we should get a logo so we can order. We also should order discs soonish. We will have to decide which company to get discs from. First order of business; a logo for the hat! Roles: This year we want to try to get one Swa player assigned to each experienced person in an organisational role. That way the Swa player can observe what exactly needs to be done. Then in coming year the Swa players could take over.